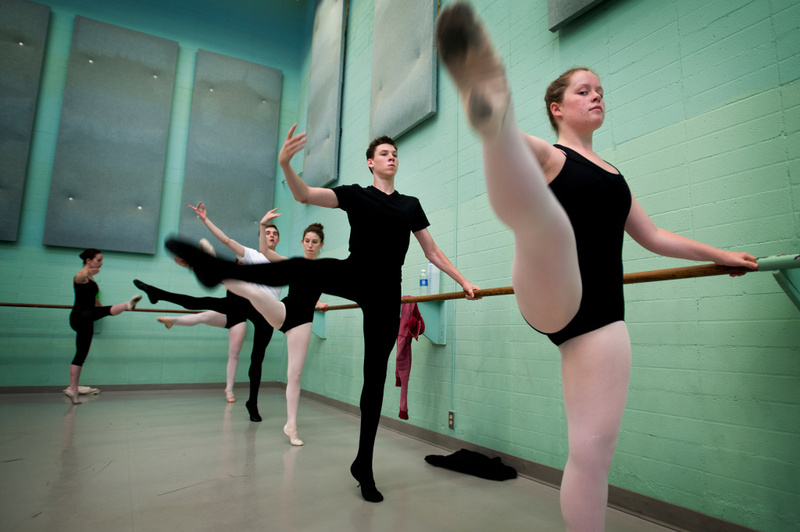 Barrett Cahalen, 16, of Santa Cruz, center, participates in a ballet class on Friday, Aug. 2 at CalArts. 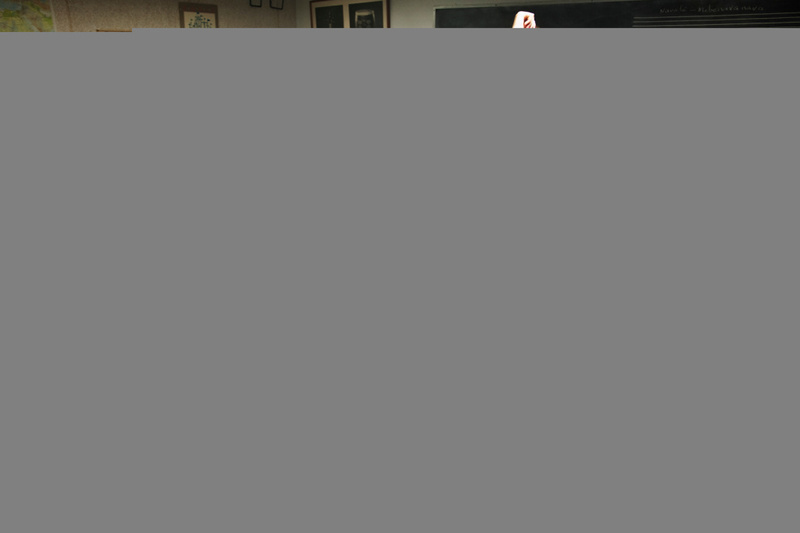 Students have concentrations in either music, theatre, video and film, visual arts, dance, creative writing, or animation. 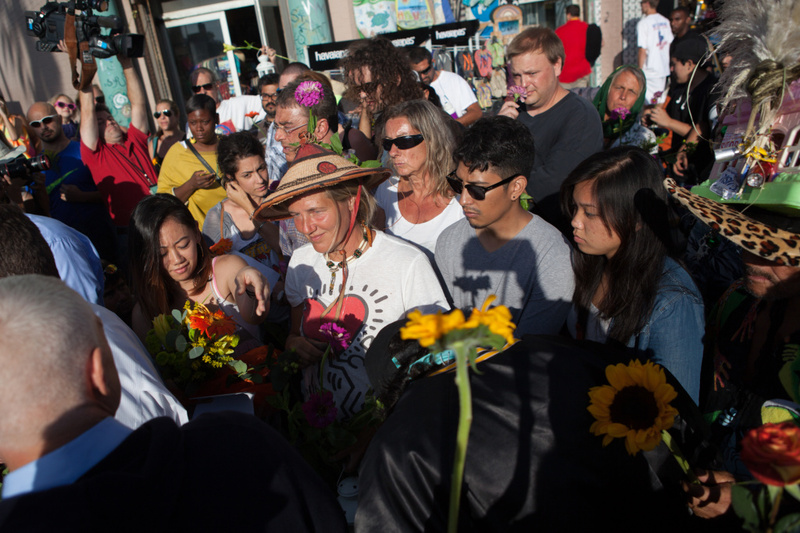 Venice residents participate in a vigil for the victims of a runaway driver that sped through the Venice Boardwalk on Saturday. 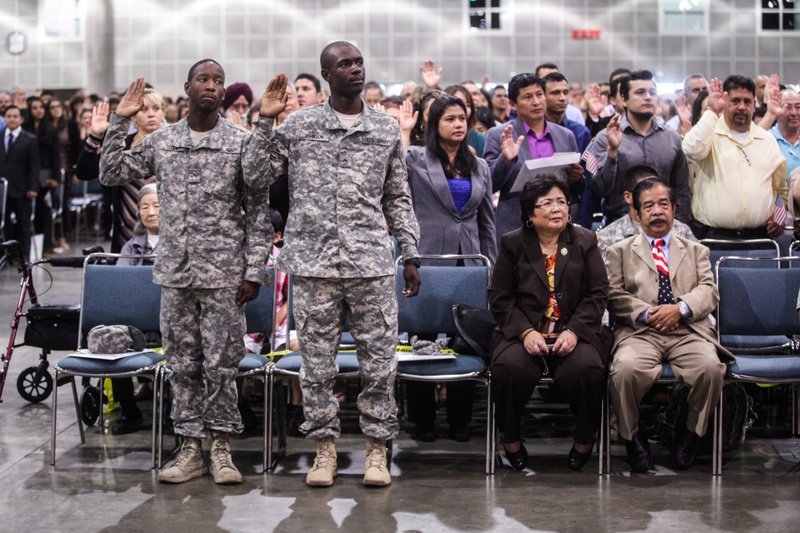 Members of the military take an oath as new citizens along with thousands of new Americans participate in a citizenship ceremony at the Los Angeles Convention Center on July 26, 2013. 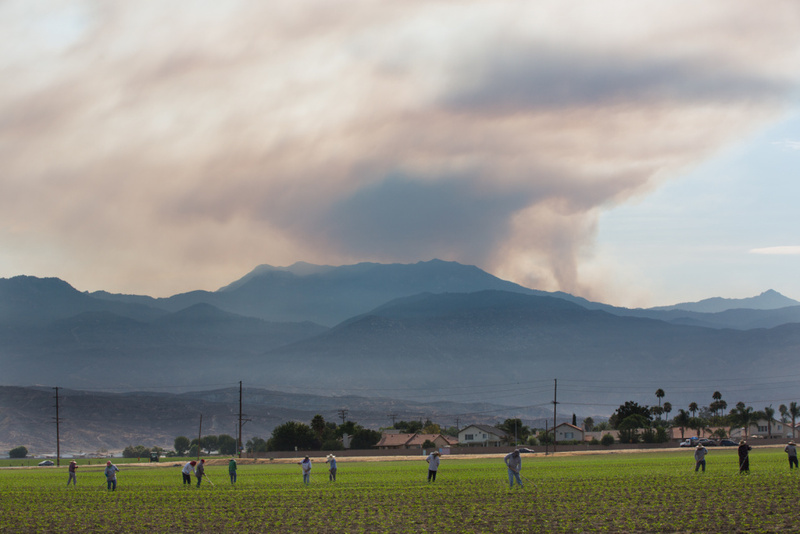 Farmers work in a field in Hemet, Calif. while the Mountain Fire burns on July 19th, 2013. 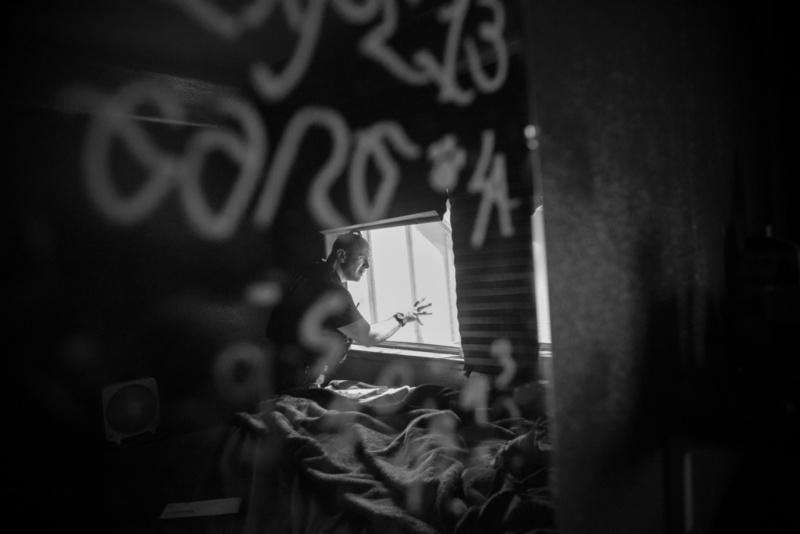 Detective Jones looks for clues in the bedroom of a home in Corona, Calif. The mirror in the bedroom has Los Angeles gang tags. 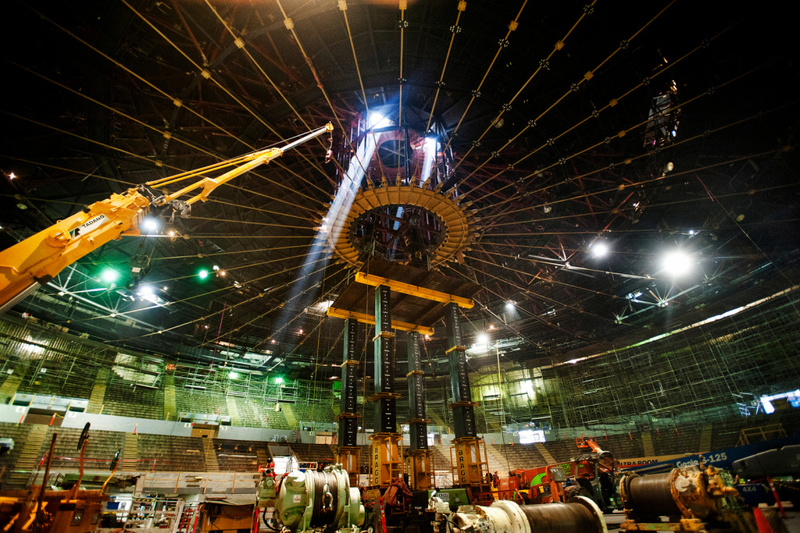 Almost 50 years after its construction in 1967, The Forum in Inglewood is being renovated by the Madison Square Garden Company. California State Summer School for the Arts students take part in an African music and dance class on Friday, Aug. 2 at Cal Arts. 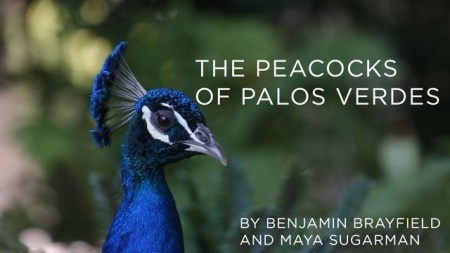 The four-week program selects talented high school students from throughout California and out of state. 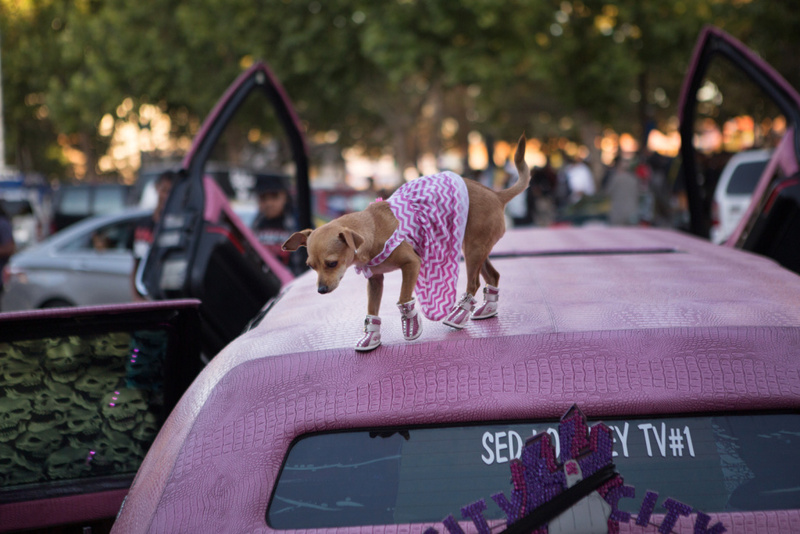 A dog walks on top of a pink limo near a Trayvon Martin rally in Leimert Park on July 15th, 2013. 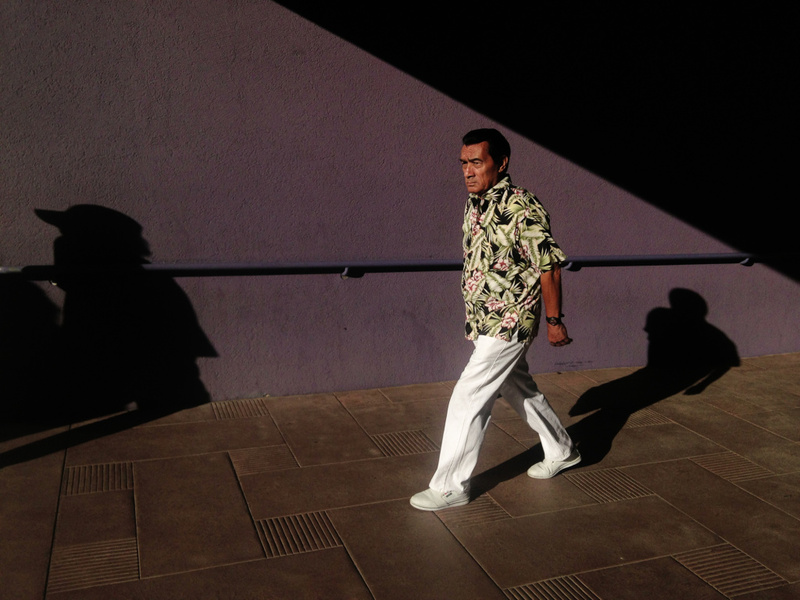 A man makes his way to a salsa concert in Pershing Square on Sunday in Downtown Los Angeles. 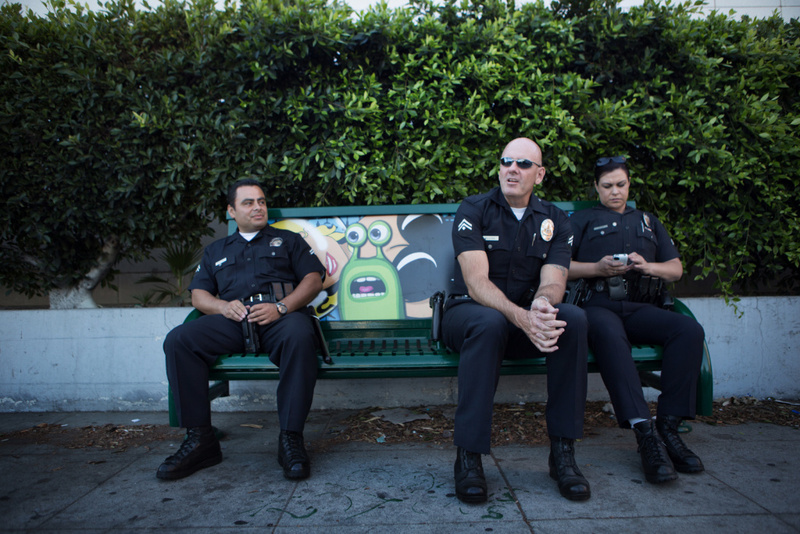 Officers sit on a bench in downtown Los Angeles before the Trayvon Martin rally on July 17th, 2013. The cast of "East Los High" poses for a photo during an event unveiling the final bus installment on Tuesday, July 23 at the Grove for the Los Angeles Fund for Public Education's #ArtsMatter project. Artist Shepard Fairey designed the bus wrap. 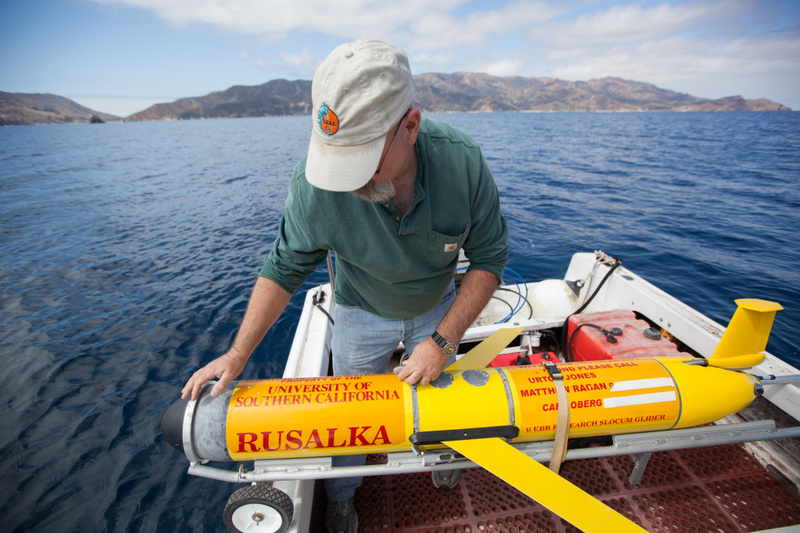 Carl Oberg, an engineering technician for the USC Robotics Research Lab, prepares the submersible robot Rusalka for an underwater mission to monitor levels of acid and other climactic factors in the Pacific Ocean. 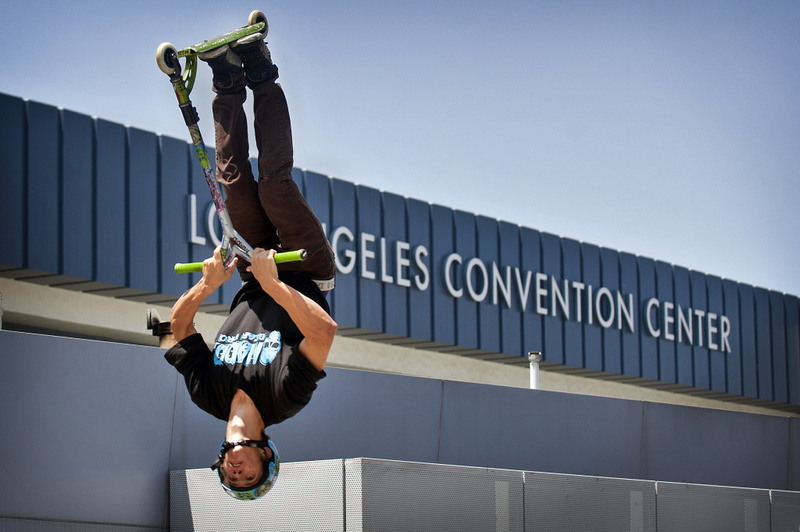 Chandler Dunn of Temecula does a flip on a Razor during the first day of X Games Los Angeles outside STAPLES Center and L.A. Live. 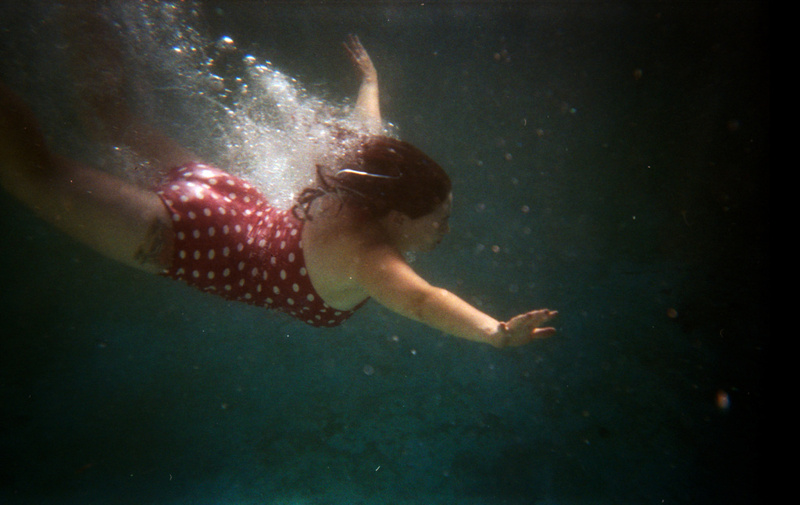 Diving into a pool in Highland Park, Los Angeles. 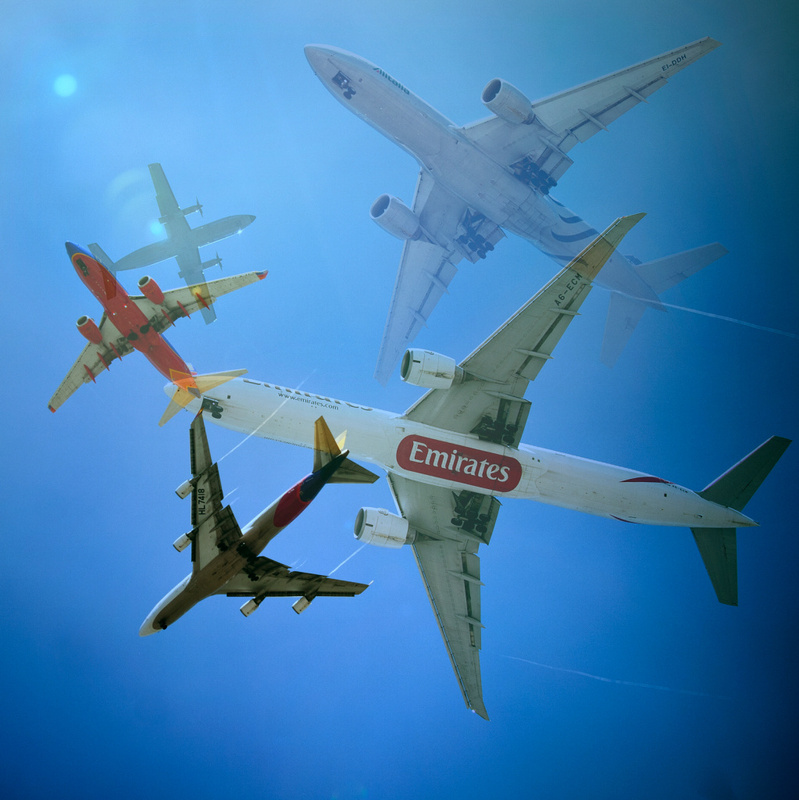 A multiple exposure of airplanes leaving Los Angeles International Airport above The Forum in Inglewood on Tuesday, July 30. 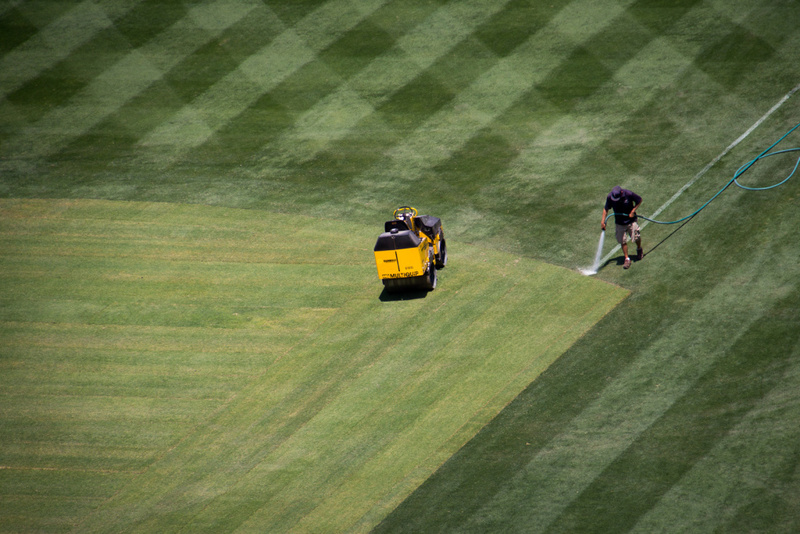 A groundskeeper tends to sod used to cover the dirt at Dodger Stadium during its transition into a soccer field. 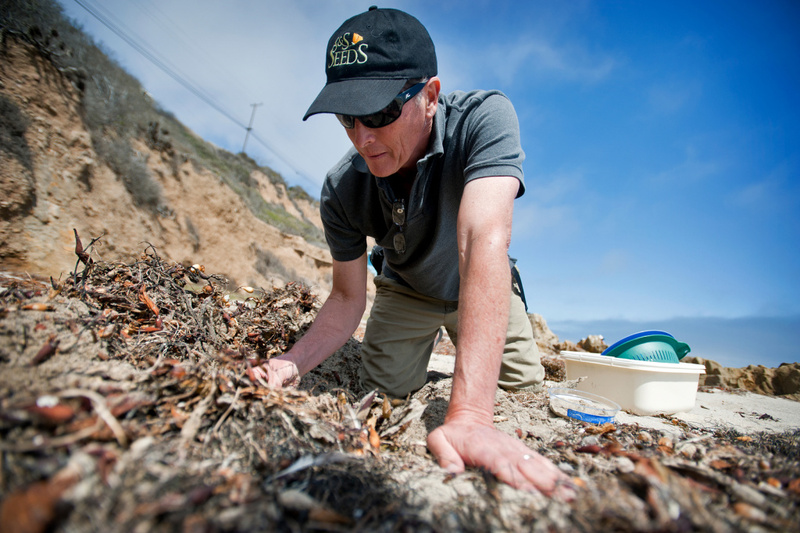 David Hubbard, a research specialist at UCSB's Marine Science Institute, looks for crustaceans called Isopods on a Malibu beach on July 24. 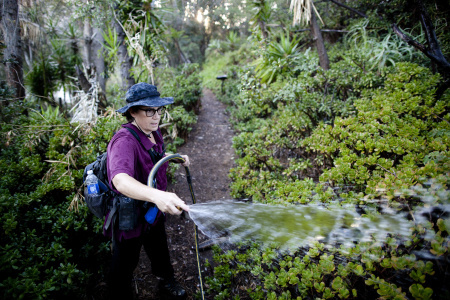 Hubbard and a group of scientists have found that the Isopod population has disappeared from 60 percent of Southern California beaches. 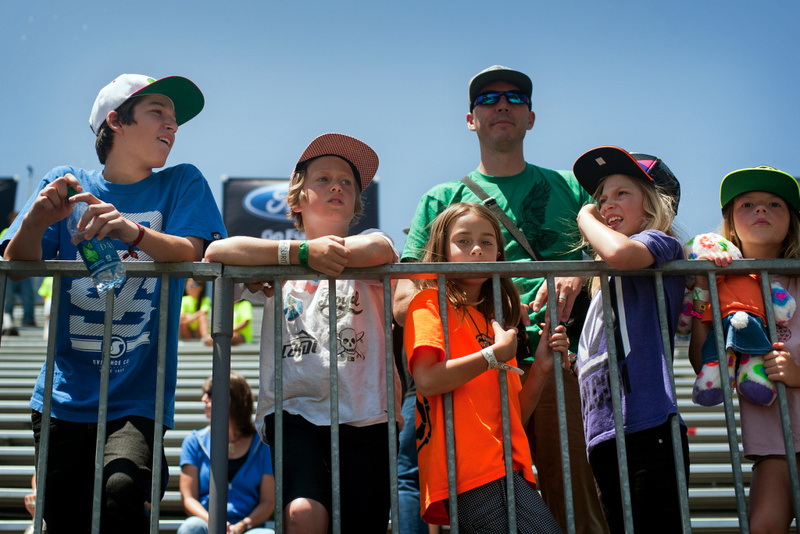 Fans wait for the Women's Street competition on the Event Deck at L.A. Live on Thursday. 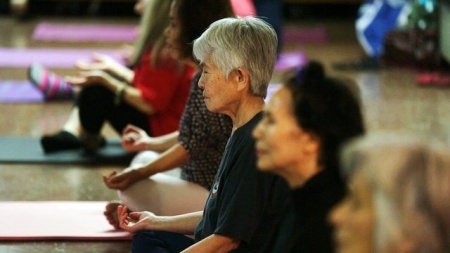 Other X Games competitions will take place at STAPLES Center and the Iwindale Event Center. This is the View from KPCC. 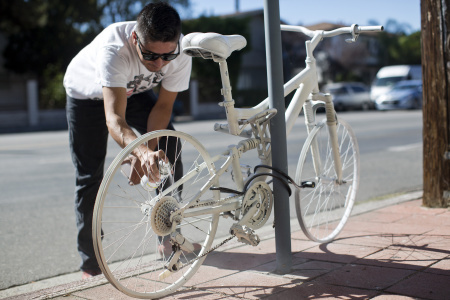 Every two weeks, we gather our favorite images from stories you've heard on KPCC and photos of other Southern California moments by our staff of visual journalists.